A vegetarian diet can contain a number of cholesterol lowering foods, all of which exclude meat but contain many nutrients and nutritional compounds which can help you decrease your cholesterol levels. Legumes are an excellent choice for vegetarians, because these foods are high in protein and are a filling substitute for meat without the cholesterol included. Tofu is a staple in many vegetarian diets, and while this food does not lower cholesterol it is a nutritional filler that does not contain cholesterol, so it will not affect your levels either way and adds extra nutrition. Many fruits and vegetables are considered cholesterol lowering foods, because they are high in fiber. Green leafy vegetables used as a salad base can be topped with many foods that lower cholesterol levels, including seeds, legumes, and nuts. Many seeds and nuts have heart healthy fats, so they lower your LDL or bad cholesterol while raising your HDL or good cholesterol. Nuts are considered one of the top 5 foods to control cholesterol and lower these numbers. Whole grains including oatmeal and oat bran are natural remedies for high cholesterol, and fit in perfectly with a vegetarian diet. Choose multigrain or wheat bread instead of the white variety, and the same is true of the pasta that you eat. Oatmeal is one of the best cholesterol lowering foods found in nature, and a bowl of this hot cereal can be dressed up with cinnamon, bananas, or nuts for a healthy breakfast that helps your cholesterol levels. 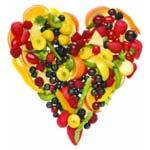 A vegetarian diet can make an excellent cholesterol diet menu. While some cholesterol is made in your body, some is introduced in the foods that you eat. Animal products can be high in cholesterol, and since most vegetarian diets do not include these foods they naturally help lower the amount of this fat that you have. A diet rich in cholesterol lowering foods can help prevent heart disease and other medical conditions or problems.